The 19-day London 2012 olympics will come to its end August 12 9pm BST (Aug. 13 4 AM Philippine Standard Time) with the promise of spectacular closing ceremony lead by Kim Gavin, the artistic director. It will begin with the 20-minute cacophony of British music that reflects life in the capital, running from Elgar to Waterloo Sunset. The ceremony is star-studded and tagged as "the best after-show party of all time". Well, we will check that few hours from now. As confirmed, artists who will give the catch of music and surprises includes London Symphony Orchestra, George Michael, the Spice Girls Annie Lennox, and popular boygroup One Direction . It was also revealed that more than 4,100 performers including 3,500 adult volunteers and 380 schoolchildren from the six East London Host Boroughs will be performing. "The real show is the Olympics, the sport. It's always been a blessing to have this job of putting on an aftershow party after the main event. I want it to be fun, I want it to be colourful. I want it to be the best aftershow party there has ever been," said Gavin. More than 10,000 athletes will also march together in a symbol of unity forged in the past two weeks of the games. It is unlike the Opening Ceremony where the athletes stay within their national teams. Another major highlight of the event is the host city turnover for the 2016 Summer Olympics. As confirmed, Brazil will be the next host city. The 150-minute closing ceremony will include video highlight reels of the July 27-August 12 Games, and in between the music will be the men's marathon medal ceremony, athletes' parade, speeches and a presentation by the next hosts Rio de Janeiro. 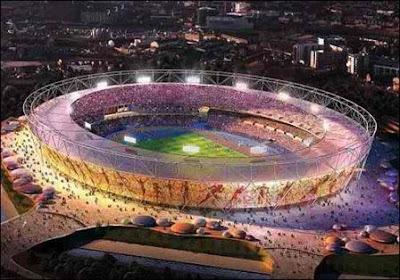 "Pixel boxes" on every seat of the 80,000-capacity Olympic Stadium will be used again to create vivid, giant backdrops for a show expected to attract hundreds of millions of television viewers after the opening ceremony was watched by close to a billion. As of August 12, final medal count reveals that Unites States got the over-all lead with 102 (44 gold, 29 silver and 29 bronze). As expected, China which is in stiffer competition with US came in second with 87 total medals (38 gold, 27 silver and 22 bronze). Great Britain, Russia and South Korea completes the top 5. Although, Philippines was not able to grab London 2012 medal but the passion and spirit is enough for the 11-Filipino athletes to consider a winner and make the country proud as they competed with the best Olympians in the world. It will serve as motivation for the Brazil 2016 Summer Olympics. In the Philippines, catch the live broadcast of the closing ceremony via TV5, Monday 4AM with a primetime replay at 8:30 p.m. the same day on AKTV on IBC 13. Follow the Twitter hashtag 'London 2012 closing ceremony' for real time updates.